John Conley is of counsel to Robinson Bradshaw. His practice focuses on advising clients and assisting them with strategic planning related to all aspects of intellectual property and privacy law, both in the United States and internationally. Many of John's recent projects have involved companies, universities and organizations conducting health and other scientific research. He has frequently appeared as an expert witness on issues of intellectual property and legal procedure. John is a William Rand Kenan Jr. Professor of Law at the University of North Carolina at Chapel Hill. He practiced law in Boston and then joined Robinson Bradshaw in Charlotte, focusing on intellectual property and civil litigation, before becoming a member of the UNC law faculty in 1983. 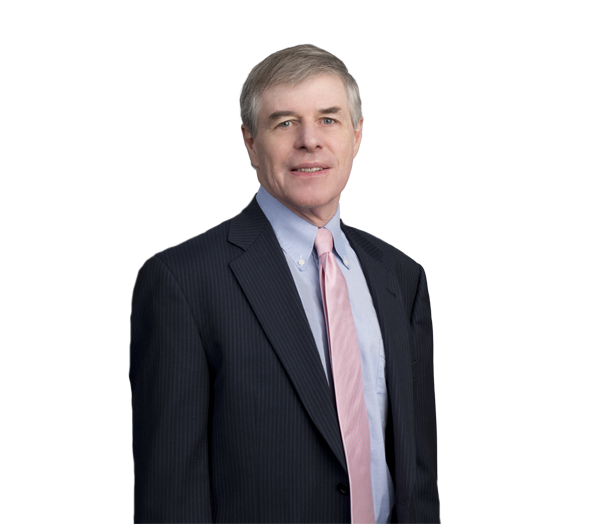 John teaches intellectual property, biotechnology, scientific evidence and civil procedure. He is the editor of the The Privacy Report blog, which covers and analyzes current legal developments in privacy and IP law and the related regulatory environment, with a focus on the health care, research and IT industries. John also publishes and widely lectures on such topics as intellectual property law as applied to emerging technologies, the anthropological and linguistic study of the American legal system, and the culture of business and finance. To view a list of publications, click here. Provided expert advice and testimony in several cases involving the running of North Carolina statutes of limitations. Provided expert advice and affidavits in cases involving a lawyer's duties of confidentiality and loyalty to clients. Gave expert testimony on the meaning of the term "patent royalties." Drafted a memorandum for filling in the European Patent Office on the U.S. law of patent assignments. Advised multiple clients on compliance with the European Union's General Data Protection Regulation, particularly as it relates to scientific research.